Nikon has announced a new mid-range flash, the Speedlight SB-500, featuring wireless master/slave control and an LED video lamp. Nikon has announced a new mid-range flash, the Speedlight SB-500, featuring wireless master/slave control and an LED video lamp. With a good level of control and a compact size, it could be the amateur-friendly ‘vacation’ flash some photographers have been waiting for. The SB-500 sits somewhere between the discontinued SB-600 and SB-400, with the tilting, swivelling head and wireless control from the SB-600 but the two-AA power and LCD-free interface of the SB-400. 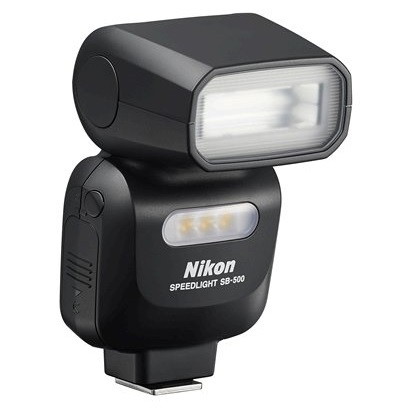 It is also the first flash from Nikon to include a video lamp, making it almost an exact counterpart to the Canon Speedlite 320EX or similar flashes from Olympus and Panasonic and third-party makers. 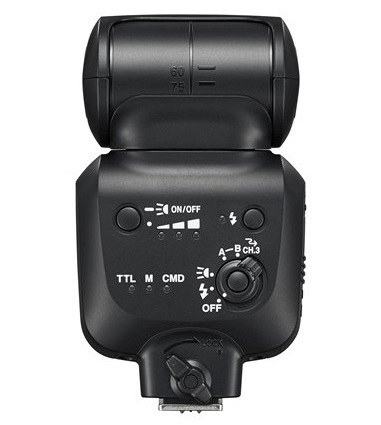 Interestingly, you can use this flash as an advanced wireless Commander, despite the extremely limited controls on the back of the device, because Nikon lets you control your flash setup through the camera menus, the same way you would if using the pop-up flash as a Commander. The SB-700 and SB-910 have their own LCDs so the SB-500 is the first flash to have this Canon-style capability (again much like the 320EX). This may also be the way you control the power in Manual mode. Some photographers may not enjoy diving into camera menus all the time to do this, however. Recycle time does not seem to be specified. 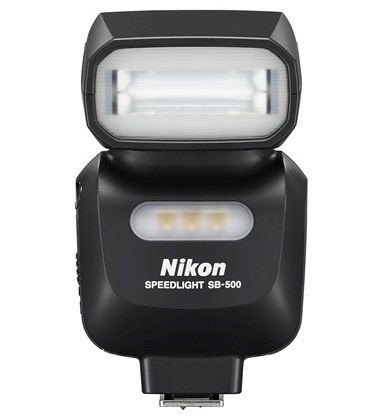 Priced $250 / £199, you can pre-order the Nikon Speedlight SB-500 now, with stock expected to ship on 25 September 2014. Pre-order yours from Amazon, Adorama, B&H, Wex Photographic or other Nikon dealers. (Using these links helps support this site.) For more information, visit the manufacturer’s product page.